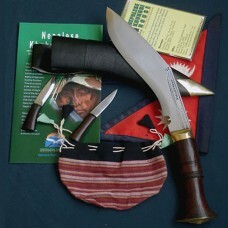 This is one of the best models amongst other Kothimora products. 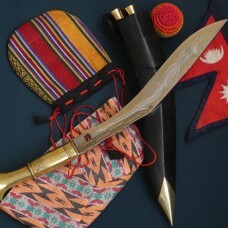 This is made for the retiring Gurkha or British Army Officers. 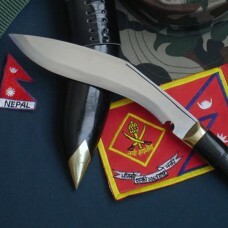 There are different types of Gurkha Regiment in British Army better known as Brigade of Gurkhas, and they have their own Regimental Badges. 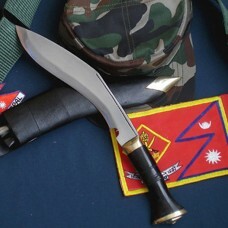 This Kothimora Khukuri is traditionally presented to the British and Gurkha Officers from his Regiment for his courage, sincerity and loyalty to the Regiment and the nation on his retirement. 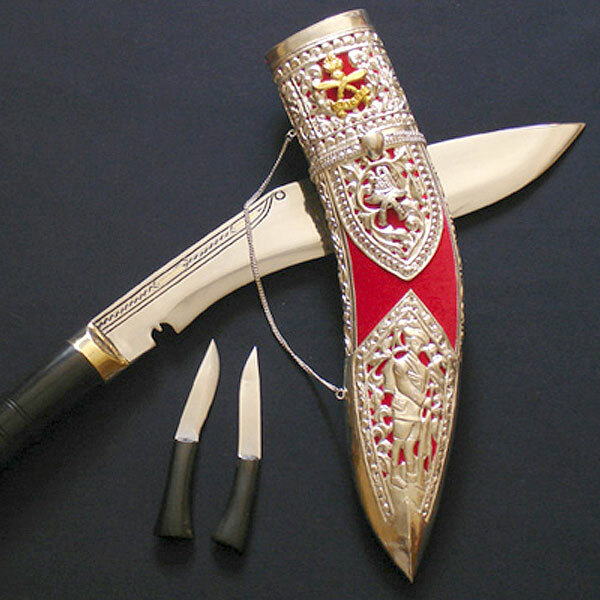 Highly graded carbon steel is used for the blade and the scabbard is exclusively designed using pure silver filigree with a velvet background matching the color of the regiment. The cap badge of the regiment is mounted on the scabbard. 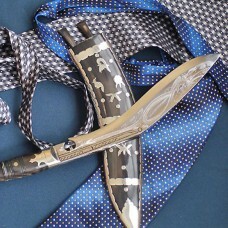 It has 11" blade which can be engraved with special Dragon. 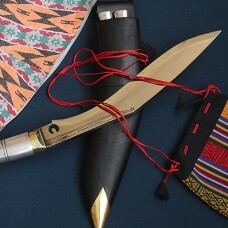 It is about 750 grams with Sheath. The total shipping weight (standard sized) including display wooden stand with packing will 1.5kg.